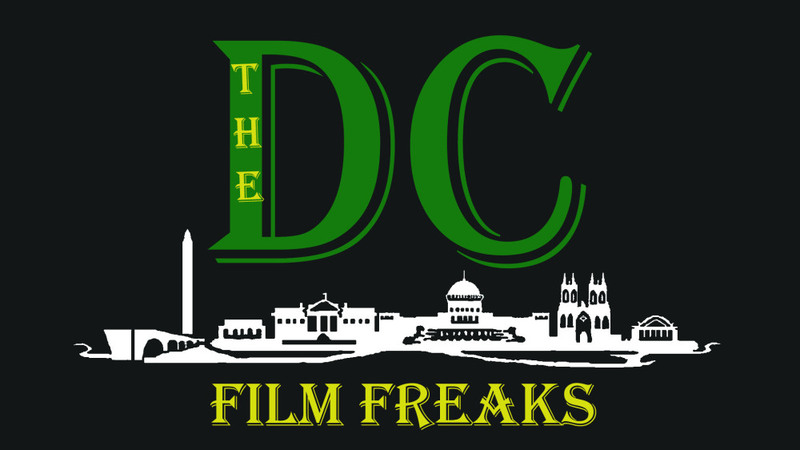 We, The DC Film Freaks in the presence of YOU our fellow freaks promise to ALWAYS provide our DCFF faithful with OPEN, HONEST and most importantly ENTERTAINING CONTENT on Film, TV and yes even LIFE! We, The DC Film Freaks promise that we will ALWAYS strive to lead the charge in ALL things nerd! Trust us there isn't a better place to be than with us at the THE DC Film Freaks! The Film Freak talks about new TV and Movie News including Grimm's Cancellation, Stranger Things' Renewal, and Ben Affleck's Deathstroke Reveal. Reviews include Mechanic: Resurrection, Morgan, The Light Between Oceans and More! The Film Freak talks about Amazon's Jack Ryan and The Departed reboot. Justice League Dark and The Monolith. Reviews Ben-Hur, Kubo and the Two Strings, Imperium, Don't Breathe, Southside With You, and Hell or High Water. He also addresses the controversy surrounding Nate Parker and The Birth of a Nation. In this episode the Film Freak talks about The Flash, Arrow, Mr. Robot, and Tom Clancy's Jack Ryan. Sherlock and Watson, Guillermo Del Toro's new film, and the new Superman Suit. Reviews: Sausage Party, Florence Foster Jenkins, and Stranger Things. Rants/Thoughts on Rotten Tomatoes vs. Suicide Squad, the mediocre Summer Blockbusters of 2016, and a challenge to fellow members of The DC Film Freaks. The guys tackle the controversy around Birth of Nation director and how its related to Mel Brooks cult classic Blazing Saddles. Also, find what famous feud Charles might have played huge part in crushing the beef! In part 2 of episode one Mike and Ike React to Table 19, Kickboxer: Vengeance, and the Redband Edge of Seventeen Trailers along with the Star Wars: Rogue One behind the scenes videos. First of all I am a fan of the first series of Ghostbusters movies. I loved the interaction and comedy between Murray and company. I even was a fan of the second movie which some people did not like. 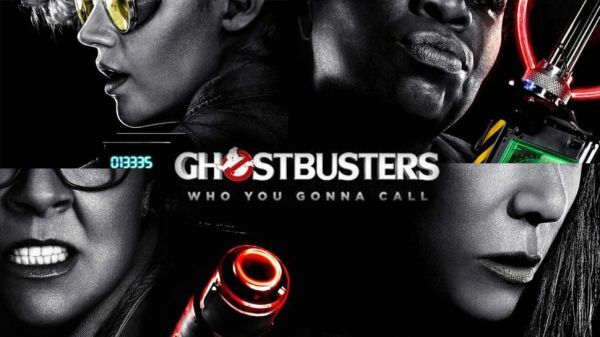 So I had a good deal of trepidation about the new Ghostbusters movie and a lot of questions. 1. Is this a sequel or a remake? 2.Will this movie have any connection to the first series? 3. 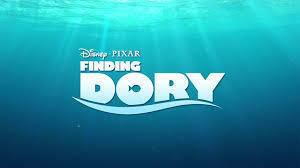 Why are they making this movie? I know, I know. Lately, I have been a naysayer to the whole 3D experience. I felt that it has used up its cycle of relevance and needs to be placed back on the shelf to wait for the next revival from a future generation. But Ghostbusters used their 3D in excellent ways. Slime! Proton streams! Ghosts reaching out! Wow! The visual experience in itself was delightful. Special effects were incredible in this movie. But the films storyline, action and humor were spot on. There were no dead spots in the movie where you were not entertained. Wiig and McCarthy are their usual comedy gold but the spotlights shine on Kate McKinnon and Chris Hemsworth. These two performance kept you rollicking on the floor through the whole movie. I have to see the movie more than once because of the outright, out loud laughter generated by them throughout this movie. Hemsworth continues to show that he is more than a guy with a hammer and McKinnon shows why she is one of the only reasons that SNL is remotely funny anymore. Question number one. This is not a sequel. This is a total remake. Everything starts with these ladies. The names are different. Their roles are similar but the similarities end there. Which brings me to the one small criticism I have of this movie. I know Leslie Jones is fulfilling the role that Ernie Hudson played in the first movie but why couldn't the sister be more than street smart? Not a problem but I'm just saying. Question number two. There are a couple connections to the first series however, they are homages only. That being said, every major character from the first Ghostbusters except for Rick Moranis is in this movie. Even the song is back (who said it wasn't?). This movie is clever and incredibly fun and good for most of the family. Beware, there are a couple of intense scenes involving ghosts, of course, and one possession scene that may make this movie a little too much for children under 7. Otherwise, this movie was one of the best experiences of the year and is definitely a top ten. By the way, stay through the credits! Charles Kirkland Jr. is a local film critic and member of the DC Film Society. His columns and reviews can be reviewed on the dcfilmfreaks.com. 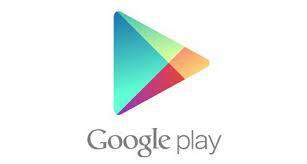 His podcast , The DC Film Life with Charles and Mike, can be found on iTunes and Podbean. After witnessing the travesty of the list provided by my cohort on this website, I was challenged to provide a more accurate (or should I say rational) list of the best of 2016 to this point. I used the first six months of the year as the benchmark. So anything coming out in July would not be eligible for consideration (which is fortunate because the July movies so far would not have even cracked the list). 10. 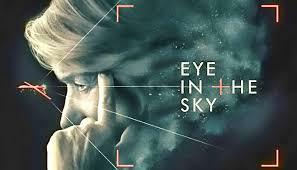 Eye in the Sky - This is a deliberate and thought provoking drama where issues of right and wrong, come into play in the new arena of high-tech warfare. How far is too far? How much collateral damage is acceptable? Helen Mirren leads a stellar cast including the late Alan Rickman. ​ 9. 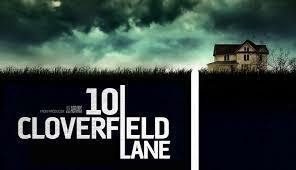 10 Cloverfield Lane - John Goodman submits a sublime performance as a man you just can't trust. Again you just have to question who's right and who's wrong. 8. 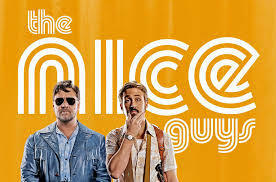 The Nice Guys - Shane Black has a way of making great not-really-buddy movies, Lethal Weapon, Kiss Kiss, Bang Bang and now this. Ryan Gosling and Russell Crowe are great together as detectives in this twist-filled, comedic romp through '70s Los Angeles. Let's have a sequel! 7. 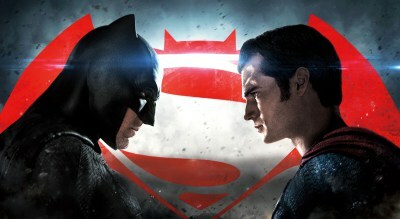 Batman v. Superman: The Dawn of Justice - For as aggravating and full of holes as this movie was, we got to see Batman (a murderer) and Superman (wimpy) in lights that we had not seen before. A definite cinematic tour-de-force. Hopefully the ultimate edition will make it more cohesive. 6. Deadpool - So what it's R-rated. This movie rocks! 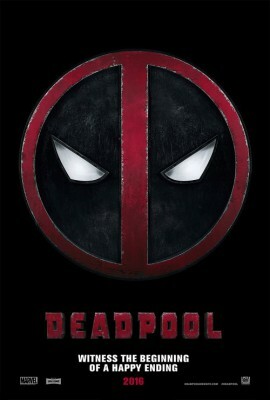 Ryan Reynolds plays the role he was born to play as a wisecracking, love-making superhero. 5. 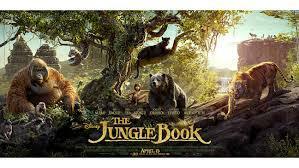 Jungle Book - OK, I was wrong about this one too. Disney makes another great live action version of a beloved animated feature. 4. 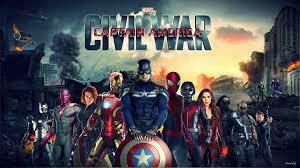 Captain America: Civil War - No one's list is complete without this movie. The action, the drama, the story. So what it wasn't like the book. Neither was BvS, the Jungle Book or Suicide Squad for that matter. This was clearly the best of the comic book movies of the year so far. 3. Sing Street - This little independent film blew me away. Set in Ireland in the '80s, this coming of age tale of rock and roll and young love was refreshing and beautiful. By the way, the soundtrack is totally awesome, dude! ​​ 2. 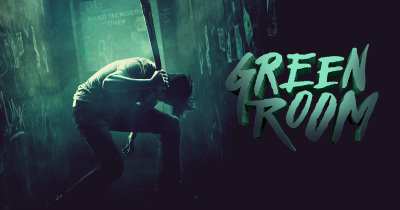 Green Room - Another sleeper hit. Patrick Stewart shows his range playing Darcy, a more than evil owner of a Skinhead bar, who is trying to kill the members of a rock band that has seen too much. ​ ​ 1. 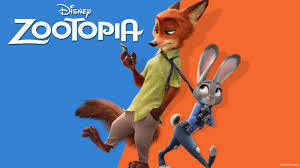 Zootopia - With its super intelligent mix of adult and child humor and themes, this is the go-to movie for family fare and a clear frontrunner for the animated Oscar title. Could there be a crossover into Best Picture? 2016 has been a very strange year for movies. Audiences seem to be more perceptive about the big, dumb, CGI, noisy blockbusters that just a few years ago would have been successes but at the same time there also seems to be a lack of passion about smart, low-budget, indie films either. 2016 has also been the year of movies that stir up debate: Do critics sometimes get caught up in the popular opinion of their peers? Does branding still work? Can you like average movies despite their flaws or must everything be 100% good or 100% bad? Should the Rotten Tomatoes score matter at all? Whatever your answer to these questions these are my personal Top Ten movies of 2016 so far. I’m not saying top ten best technically or works of film or what have you. Some of them I believe (Esp. Number 1) are the best but most of them are my personal favorites based on my opinion. 10. Finding Dory: A worthy Pixar sequel that wasn’t as good as the first but still better than the last several Pixar movies. Still only the second best animated movie of the year though. 9. Eye in the Sky: Reminiscent of Good Kill but a much broader look at drone warfare while at the same time making it much more tense and disturbing. Sure to spark debate wherever watched. RIP Alan Rickman. 8. Deadpool: A long awaited Ryan Reynolds passion project that is all about fan service. The story may be formulaic but the character defies formula. 7. 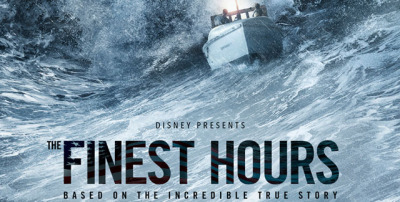 The Finest Hours: An underlooked but entertaining true story about the largest Coast Guard rescue in history. Harkens back to when Disney cared about live action, family friendly, action adventures. 6. The Jungle Book: A fun, rollicking live action update to the classic Disney tale. It has the songs, it has the action, and it has Bill Murray and Christopher Walken as singing bears and orangutans. 5. 10 Cloverfield Lane: The second best close quarters thriller of the year. John Goodman chews scenery and a first time director makes his mark with a tense, shocking film. 4. Green Room: The Best close quarters thriller of the year. Patrick Stewart chews scenery and Jeremy Saulnier (Blue Ruin) directs another great movie. RIP Anton Yelchin. 3. 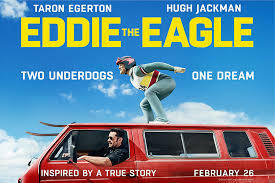 Eddie the Eagle: This and the next are almost purely personal picks. I love this story, Taron Edgerton and Hugh Jackman are wonderful, and the ending brings tears to my eyes every time. Fly like an eagle guys. ​​ ​ ​ 2. Batman v Superman: Dawn of Justice: I could (and have) written full articles about this and why it’s underrated but for me personally all I need: Luther’s schemes, Supes and Bats fight, and WONDER WOMAN GUYS!!! Loved it. Watch the Ultimate Edition. Enough said. 1. Zootopia: The best animated movie since I don’t know when, and one of my all time favorites. This is a kids movie that has: a Godfather tribute, an effective Jump Scare, a neo-noir mystery, a kid friendly message about racism, discrimination, and tolerance. Affirmative action, the 80s drug crisis, and racial bias in law enforcement are in this movie. A Breaking Bad reference and a joke about the N word are ALL in a kids movie with fuzzy animals. WHAT? It’s amazing. After months of talk The Freak Out is here! Isaac, Charles and Mike are here to totally Freak Out about the very controversial War Room! Check it out and dont be afraid to FREAK OUT!